Common Milkweed (Asclepias syriaca) pod. Milkweed is an incredible plant. 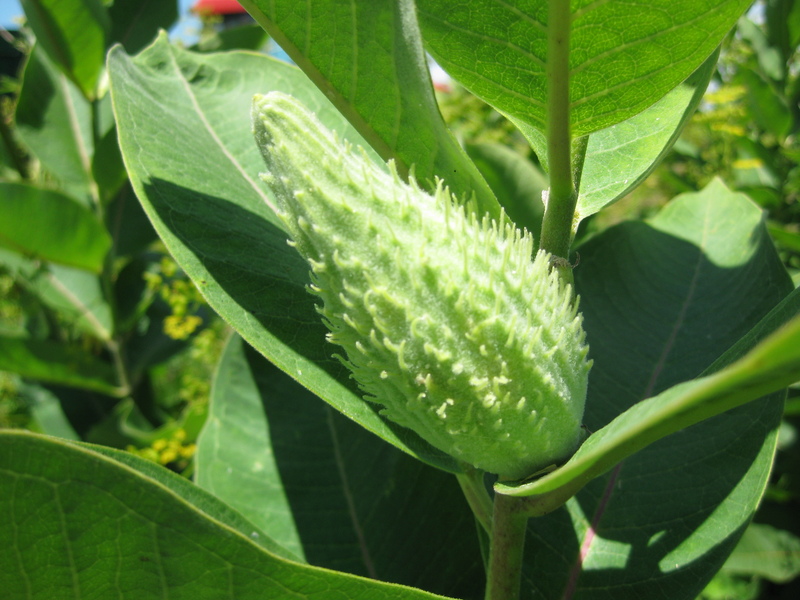 According to Sam Thayer, there are six vegetables available from Milkweed, (shoots, leafy tops, flower buds, flowers, immature pods, and white). I’ve only eaten shoots, flower buds, flowers, and pods. It’s fun to mark the summer season as one part of the plant goes out, and another comes in. 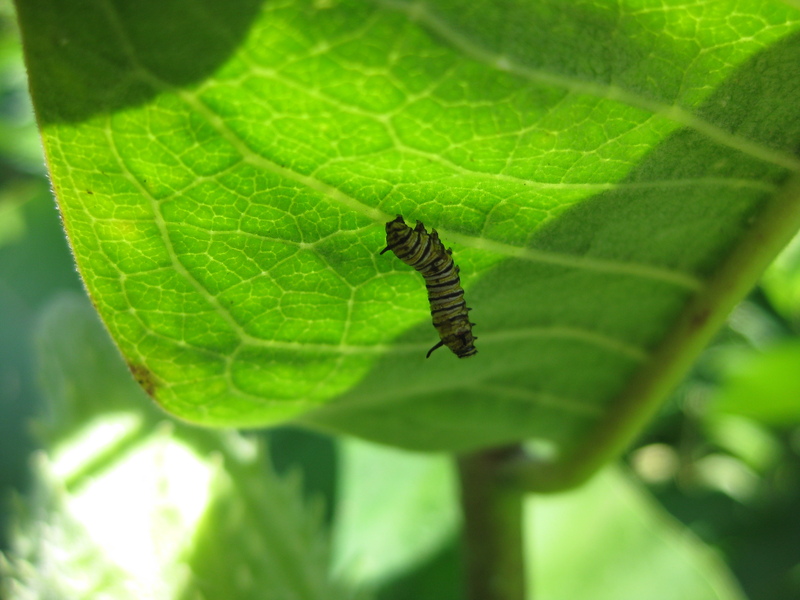 It’s also fun to look for monarch caterpillars (Danaus plexippus). Look at the little guy in the picture below. What an amazing life he is going to have. All he does now is eat and poop. Pretty soon he’ll form a chrysalis and take a nap for a fortnight. Then he’ll crawl out and wait for the new things on his back to dry. Then… fly! This entry was posted on Sunday, August 1st, 2010 at 3:57 pm and is filed under Curious nature, Curious wild food. You can follow any responses to this entry through the RSS 2.0 feed. You can leave a response, or trackback from your own site. ohhhhh …I remember these from my childhood. I always thought they were soooo soft and I remember opening them up and spreading them around, watching them “fly” off.